You just can't beat a classic game like Keno. So much fun! So much love. 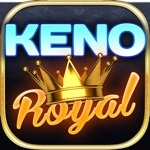 Now you can play the classic game of Keno at home, or on the go. - Authentic Las Vegas Style Keno! - Looks and feels just like the real thing! - UNIVERSAL APP - Optimized for iPhone, iPad and iPod touch!